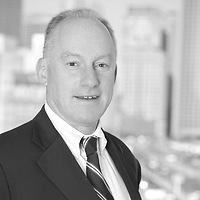 Nutter’s Banking and Financial Services practice group advised New England banks in three recent merger transactions. Nutter advised Institution for Savings in Newburyport and its Vicinity, a Massachusetts-chartered mutual savings bank founded in 1820, in its acquisition of Rockport National Bancorp, Inc. (OTCQB: RPOR) and its wholly-owned subsidiary Rockport National Bank, a national bank chartered in 1865. Institution for Savings paid approximately $28.3 million in cash for all outstanding shares of Rockport National Bancorp, Inc. common stock. The transaction was completed on August 29, 2014, at which time all Rockport National Bank branches became branches of Institution for Savings. As a result of the transaction, Institution for Savings now has offices in Newburyport, Ipswich, Rowley, Salisbury, Rockport, Gloucester, Topsfield and Beverly. 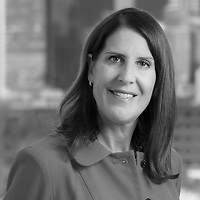 The Nutter team advising Institution for Savings was led by Kenneth Ehrlich and Michael Krebs, co-chairs of the Banking and Financial Services practice group, and included Matthew Hanaghan and Wendy Fiscus. 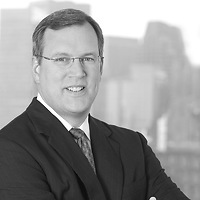 Nutter advised Connecticut River Bancorp., Inc. (OTCQB: CORB) and its wholly-owned subsidiary Connecticut River Bank, a commercial bank chartered in 1864, in their sale to Mascoma Mutual Financial Services Corporation, the parent of Mascoma Savings Bank, a federal savings association. Mascoma paid approximately $26.7 million in cash for all outstanding shares of Connecticut River Bancorp, Inc. The transaction was completed on August 15, 2014, at which time all branches of Connecticut River Bank became branches of Mascoma Savings Bank. The merger expanded Mascoma’s branch network north and south in New Hampshire and Vermont. 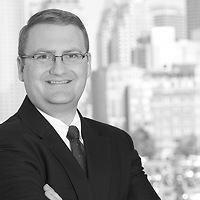 The Nutter team advising Connecticut River Bank was led by Michael Krebs, co-chair of the Banking and Financial Services practice group, and included partner Adam Ghander, of counsel Matthew Hanaghan. Nutter advised North Brookfield Savings Bank, a Massachusetts-chartered savings bank founded in 1854, in its merger with FamilyFirst Bank, a Massachusetts-chartered co-operative bank. The transaction was completed on June 1, 2014, at which time all branches of Family First Bank became branches of North Brookfield Savings Bank. The merger expanded North Brookfield Savings Bank’s branch network to seven full service banking offices, including three former FamilyFirst Bank branches in Ware, Three Rivers Village of Palmer and East Brookfield, Massachusetts. Nutter attorneys Kenneth Ehrlich, co-chair of the Banking and Financial Services practice group, and Matthew Hanaghan, of counsel, advised North Brookfield Savings Bank.